Successfully saved Sweet Potato Beef Stew to your Calendar. You can also save the ingredients to your Grocery List. 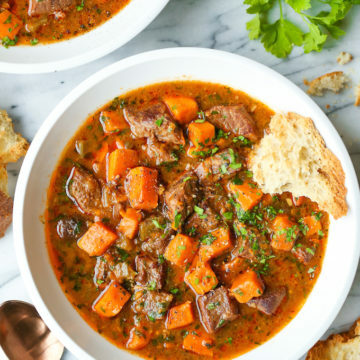 The coziest beef stew with the most tender chunks of beef and sweet potato that just melt in your mouth! And it’s FREEZER-FRIENDLY!